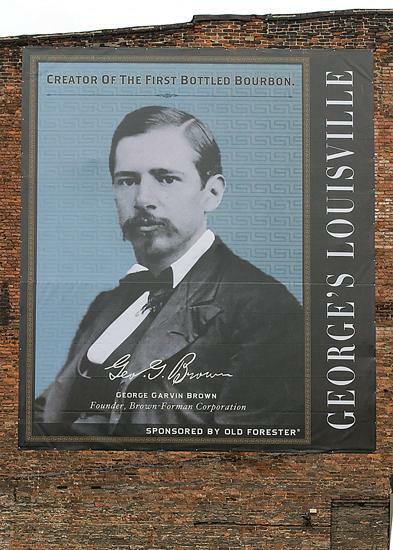 In 1870, George Garvin Brown founded Brown-Forman in Louisville, KY, U.S and his original brand, Old Forester Kentucky Straight Bourbon Whisky. and include your birthday wish, a short toast and / or a photo of your bottle of Old Forester if you have one handy. OR if you don’t have any Old Forester close, grab another brand under the Brown-Forman umbrella pictured below and send a tweet, we’re sure George appreciate all those bottles even today. In all, Brown-Forman has more than 25 brands in its portfolio of wines and spirits. We want to collect as many wishes as possible, so feel free to include@BourbonBlog and @OldForester OR include your birthday wishes under comments on this story. Old Forester was America’s first bottled bourbon and remains one of Brown-Forman’s finest brands today. There is an annually released bourbon called Old Forester Birthday Bourbon that is hand-selected to honor George’s birthday. To keep with family traditions, Geo. Garvin Brown IV, a descendant of the founder, is part of the 5th generation of Brown Family members engaged with the company and serves as the Presiding Chairman of the Board. Based in Louisville, Kentucky, Brown-Forman is one of the largest American-owned spirits and wine companies and among the top 10 largest global spirits companies, sells its brands in more than 135 countries and has offices in cities across the globe. Happy Birthday George and God bless you for your wonderful whiskey. Happy Birthday! I had always wanted to try Old Forester, but not available in New Mexico. I got a bottle on vacation in Iowa and it is wonderful! Thanks for the contribution to bourbon in general and a fine product! Love this Bourbon, especially the Signature. Happy birthday!